The Cronulla Beaches is a favourite spot for those who love swimming, surfing and just generally splashing about in the water/sun on a hot day. Convenient to get to from the south east suburbs of Sydney and even the city center itself by train, the beaches located here attracts thousands of beach-goers, especially on a hot summer day. There are even more beaches nearby, however not all are patrolled by Surf Life Saving Clubs during the busy summer months. There are also numerous places to surf at the Cronulla Beaches. The beach closest to the train station is South Cronulla, although officially named without the word south. Indeed, the station is just two blocks away via Laycock Ave.
Those with families may find it convenient to choose this beach, as there are green areas behind the beach. As well as numerous places to eat and get take-away foods. There are also plenty of flat surfaces such as walkways through the parks and along the beachfront for disabled wheeled vehicles and baby prams. 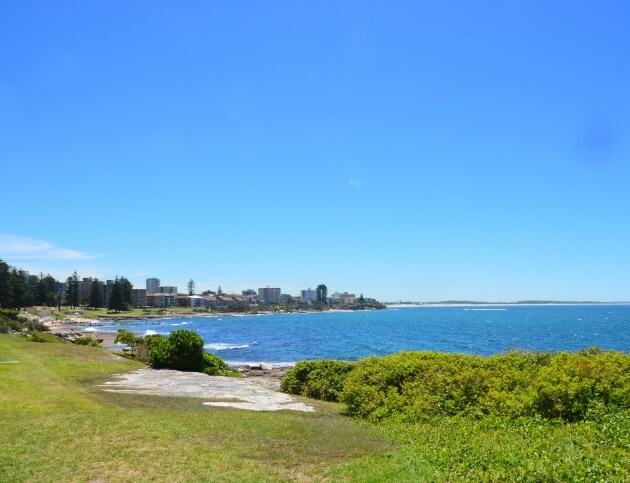 The next beach further along (northwards) is North Cronulla, also backed by a park. There are public facilities here as well, there is also limited parking although it can get very busy on hot summer days. Cronulla, some twenty six kilometres from the Sydney CBD (center) is easily accessible from the city via train, with trains running every fifteen minutes during the busy summer season. There are also bus services that travel here, including lines 969 (Cronulla to Sutherland), 971 (Cronulla & Miranda to Hurstville), 985 (Cronulla to Miranda), 987 (Kurnell to Cronulla) and 988 (Cronulla to Caringbah). The routes mentioned here also travel in the opposite direction. Note however, some of these only run at busy times.